Also what needs to be added for USB/Intel support? All done! You should now have a "Windows" and "MicroPE x64 VM"-subdirectory. 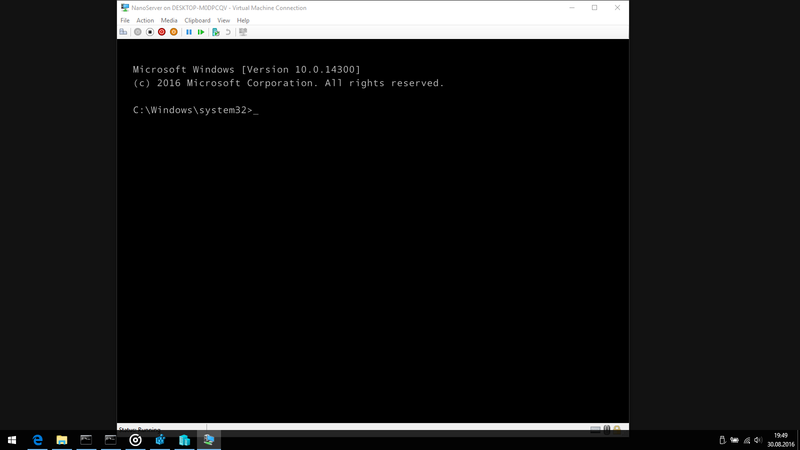 It's actually quite easy: what I did is download NanoServer VHD, then mounted it, and changed the registry to start at cmd.exe not ERT or whatever there was before. It even has powershell, networking, and it seems as if some dotnet built in. ​Now I'm working on making it as light as possible, stripping everything I can out, and just leave the bare minimum to run windows. As OP said years ago, saving resources it quite useful in some areas, and I actually find it pretty cool to have Windows without GUI. Edited by ka-la, 31 August 2016 - 07:14 AM. Nice, keep us up to date!